Onyeka Ehie will be looking for her future husband on The Bachelor's 23rd season next year. Onyeka is a 24-year-old IT risk consultant from Dallas, TX. 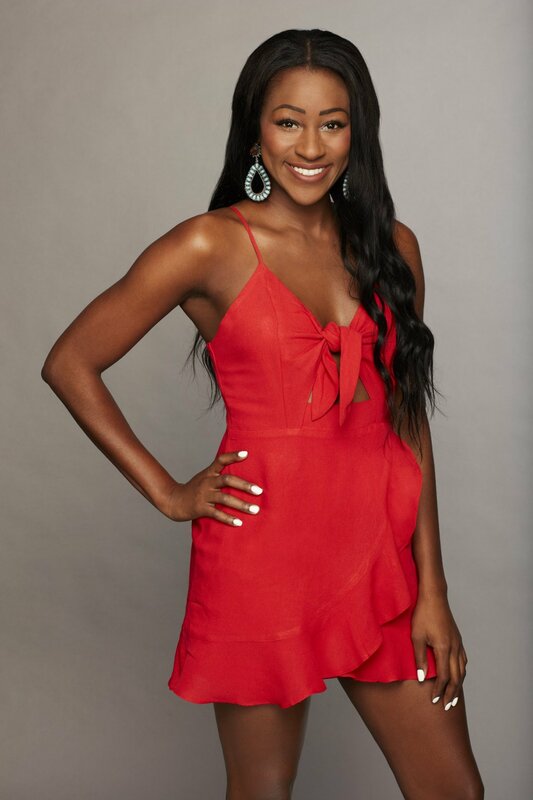 Onyeka will be one of 30 bachelorettes competing for Colton Underwood's heart when The Bachelor premieres Monday, January 7 at 8PM ET/PT with a special three-hour event. Colton will be searching for the love of his life after failing to win over Becca Kufrin on The Bachelorette's fourteenth season. He also began his Bachelor journey fairly shortly after dumping Tia Booth on Bachelor in Paradise's fifth season. Until viewers meet Onyeka on the show, let's learn more about this bachelorette right now and see if she could be a perfect match for the 26-year-old charity founder and former professional football player. - Onyeka grew up in Manhattan, Kansas, in a loving family. - Her parents are originally from Nigeria and have been married for 35 years. Her parents got engaged after just two weeks. - Onyeka's go-to pickup line is, "You look so familiar." - Onyeka graduated from Kansas State University in 2016 with a degree in Accounting. Click the BEGIN GALLERY link below to see a photo gallery of additional photos of Onyeka!